And by high, we mean that feeling of elation you get after a big win. Why? What were you thinking? 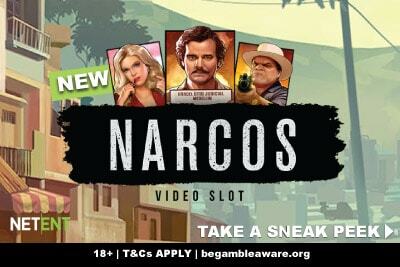 On the 23rd of May the new NetEnt Narcos slot machine will be available to play at all good mobile casinos. Based around season 1 and 2 of the hit Netflix TV series, it’s got big fans around the world mostly because the story is one that’s well known. And that’s the brilliance of this branded TV slot game. Because while fans of the series will be excited, you don’t need to know anything about it to understand what is going on in the reels. Why? Because Narcos is all about the rise, and fall, of the infamous drug lord Pablo Escobar. And if you don’t know who that is… it’s about Cops and Robbers and drugs. And if you don’t know what those are, then go play on the cute little Wild Worlds slot instead. Set in the late ’80s, this casino game will take you straight to the street of Cali where one man rose to infamy by controlling the drug trade between Colombia and the United States. And if this 2-minute short video is anything to go by, your goal is to track down the controversial billionaire and catch him in this Narcos mobile slot. Yes, it doesn’t have the hyper-realism of the Microgaming Jurassic World slot, but you can’t deny that it looks good. In fact, we prefer the hand-drawn style. It means it won’t look dated years in the future when people have forgotten the series and just stumble upon this NetEnt game at the local online casino. You know the guy with the big ‘Catch Me’ poster is Pablo, and then there’s cops, hot girls, guns, cars and… flamingos? We guess we are in the South American continent. A dash of the random exotic is always a nice touch? Walking wilds with re-spins: the wilds will move from one place to the left until it falls off the reels. Lock Up Feature: Help catch Pablo on the reels in this mini-game where you spin to catch as many Pablo Escobar symbols as you can. The golden suits will increase the value of each of the Pablo symbols significantly. 3 scatters triggers 10 free spins where there’s a chance that one or more high-value symbols into in a wild – and yes, they walk to the left, just like in the base game. The drive-by feature will turn random high paying symbols into wilds in the base game. So what’s the point in all of this? “NetEnt™ is introducing some trailblazing features like the Drive-by and Locked Up features and symbols that gives players a true feeling of what it was like being part of the Pablo Escobar journey.” Stated NetEnt studios. Will these new features make Narcos a stand out slot machine? Is the Netent Narcos slot good? We love the look of it. Of that, there’s no doubt. 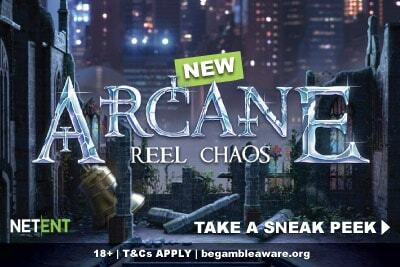 It’s like a modern take on their Reel Steal slot, only with so many more features. As always, we have to put the disclaimer here that it’s impossible to know for sure until Narcos is released on the 23rd of May 2019. But we have to say that we are pretty excited looking at the features and those walking wilds. If you’re a fan of our Lucky Mobile Slot reviews and blogs, you’ll know that we love walking wilds. The Jack and the Beanstalks slot is probably still one of our favourite slots, and we liked the follow-up Halloween Jack game just as much. NetEntertainment are pretty good at making those wilds feel exciting. Value for money with some big wins? That’s our hope for this Narcos slot game. The good thing about walking wilds is that you get lots of re-spins as they walk from the left to the right. Those re-spins don’t cost you a thing but give you up to 5 different opportunities to get you wins. Add those drive-bys which could give you a whole host of wilds walking across your screen, and we may just have a soft spot for this Colombian Kingpin. That said, it’s not all happy cocaine orgies, we do have a couple of niggling worries. For one, the walking wilds don’t give you extra free spins, and the drive bys don’t happen on every spin of the bonus games. 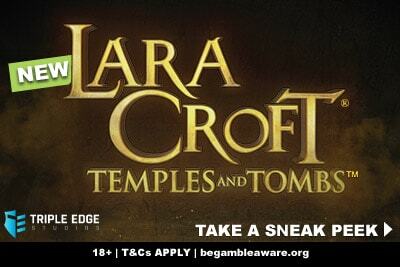 So much like many recent NetEnt slot free spin bonuses, it might leave you wanting more. For two, at a guess, this looks like a medium variance slot machine. Which means that it’s either going to be well balanced, with those 1,506 times your bet wins within reach… or never quite reaching those heights. But, overall, we are hopeful about this new mobile game casino release. After all, who wouldn’t want to feel the big high of cracking this Narcos slot wide open? 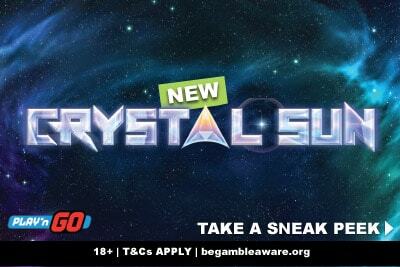 And the best place to blow a little steam is at the SlotsMillion casino where you’ll find every high you could possibly need, including a brilliant welcome offer of spins on brilliant NetEnt slot machines.